We have moved to Historic Medford! "There are three things that cannot be hidden for long...the sun, the moon and the truth." FAMILY HERITAGE ESTATE SALES is very happy to be able to help families from the tri-state area. We are a family run business that takes pride in how we manage our sales, bring value to our customers and take care of the families that we help transition through times of change. With over 14 years of estate sale experience, Family Heritage Estate Sales, LLC is the tried and true solution for every size estate sale/liquidation. Estate Sales: Family Heritage Estate Sales, LLC works diligently to insure that your interests are protected and that the client feels at ease while handling their estate or liquidation. We understand how stressful this time can be, whether you are downsizing, handling an estate for a family member or selling a few valued possessions. We pride ourselves on our honesty, professionalism and character. Privately Brokered Sales: Our Privately Brokered Sales are for the client that prefers to sell their higher value fine and decorative arts in a more private setting. This service will focus on sales to private collectors, curators, galleries or designers while obtaining sale that would surpass an estate sale atmosphere. Concierge Services: We will gladly provide you with our concierge services to aid you in a seamless transition. Let us help you locate and make appointments for related services during your estate sale. We have a long list of companies that will work hard for you. Just ask...! *Licensed and insured through Lloyd's of London. Each sale. Workers Comp, liability, inventory insurance. *Owner has 30 years of sales experience. 42 years of collecting, buying and selling antiques and collectibles! *We take Visa/MasterCard/AmericanExpress/Discover for the buyers at every sale boosting sales by over 40%!!! *Security provided at each sale. No charge to client. *We provide a 3 part detailed receipt for each customer transaction in your sale so you know what your items sold for! *One cashier handles all transactions. NOT multiple people collecting money throughout the sale. *Options for end of sale removal of remaining items. *Professional appraisers used to value high value items. *Member of the Antiques and Collectibles National Association. *Referred to clients by both "Cash & Cari" the television series and Rago Auction House (owner David Rago~Antiques Road Show). Go to our website to get an APP FOR YOUR SMART PHONE and follow ALL our sales!!! The services we provide are estate/tag sales, privately brokered sales, cleanouts, auctions, concierge services and more. Our clients are families that are downsizing, selling their homes, estates or property, families that are trying to reduce the number of possessions in their home, short sales and foreclosures. We also often help people that are just doing a simple move and need to liquidate to make a move simpler. We do free estimates and would certainly come out to speak with you if you are unsure of what type of services would best work for you. We are associated with THE ASHEFORD INSTITUTE OF ANTIQUES and ANTIQUES AND COLLECTIBLES NATIONAL ASSOCIATION. 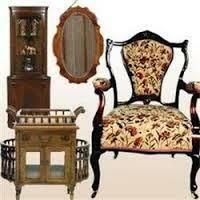 We have 42 years of experience in antique sales and working with estates. We work closely with other appraisers on high value or unusual items (at our cost) and are focused on getting you the most money for the items in your sale. Our estate/tag sales are priced on a commission basis and there is NOT an upfront cost to you to have a sale. EXTENSIVE ADVERTISING FOR YOUR SALE and A LONG LIST AND FOLLOWING OF BUYERS! WE HAVE GREAT REFERENCES! JUST ASK! Visit our website for more information www.FamilyHeritageEstateSales.com or call us at 856-673-8780. VISA / MASTERCARD / AMERICAN EXPRESS / DISCOVER ~For buyers purchasing at your sale. Family Heritage Estate Sales Has Another Amazing Sale in Moorestown-Thursday Trains & Toys ONLY By Appt. Family Heritage Estate Sales Is In Southampton NJ With A Great Estate Sale! 50% OFF EVERYTHING IN STORE ON SATURDAY. Voorhees Custom and Imported NEW FURNISHINGS: Furnishings, Art Glass, Lighting and More. Mount Laurel Estate Sale/SATURDAY UP TO 50% OFF YOUR PURCHASES!!! SATURDAY UP TO 50% OFF! HUGE SALE in MEDFORD, NJ. LAST DAY~SATURDAY~BLOWING EVERYTHING OUT~ALL HIGH END!!! High End Traditional Furniture in Mt. Laurel: SATURDAY up to 50% off! Family Heritage Estate Sales is in Mount Laurel, NJ: High Quality New Furniture! Family Heritage Estate Sales, LLC is in Langhorne, PA: Vintage and Stylish Decor. Family Heritage Estate Sales is in Bellmawr, NJ. Family Heritage Estate Sales is in Furlong, PA.
Beautiful Furnishings with a Touch of Antique & Vintage~ALL MUST SELL~UP TO 50% OFF SATURDAY!!! ENTIRE HOME CONTENTS/GREAT SALE FOR COLLEGE STUDENTS TO FURNISH DORM OR APT. Family Heritage Estate Sales Is In Robbinsville For A Wonderful Two Day Sale! Family Heritage Estate Sales Is In Robbinsville For A Wonderful Two Day Sale! July 21 and 22 is our Robbinsville Estate Sale. Friday from 2-6pm Saturday from 9-2pm More information and pictures to come soon. This company has posted a total of 193 estate sales. Only the most recent 50 sales are shown. As a loyal customer that attends all your sales, I must say "hats off" to you and your company. Beautiful set up in Flemington this past week. Truly a class act! Just an amazing job! Thank you Family Heritage Estate Sales for handling such a large project and handling it with care and diligence. You have a wonderful company with such a caring group of employees. Each one of them! Will refer your company to ANYONE searching for an estate sale company! We just wanted to write you this letter to let you know how happy we were with your service. We know our estate wasn't your usual estate sale. We had you rush the sale because of our situation. Your company got everything in order in two weeks and held the sale as planned. We were really impressed with the knowledge of your staff with the pricing and the way they interacted with the public. In a short amount of time you had a lot of people come through our house and the money we made was way more than we expected. Your staff made sure everything was priced right and the way they provided security really impressed us. The most important fact to this sale was how honest and true to your word you handled everything. In closing we would like to truly thank you for making such a hard time go smooth. We will refer your company to everyone we know and please feel free to give your potential clients my number for a reference for your company. I know when people are as honest as you their company is usually successful for many years. That is why I have no doubt you will be in business for a long, long time. Thanks again and tell Frank we said hi!